The title of this post may be confusing you. 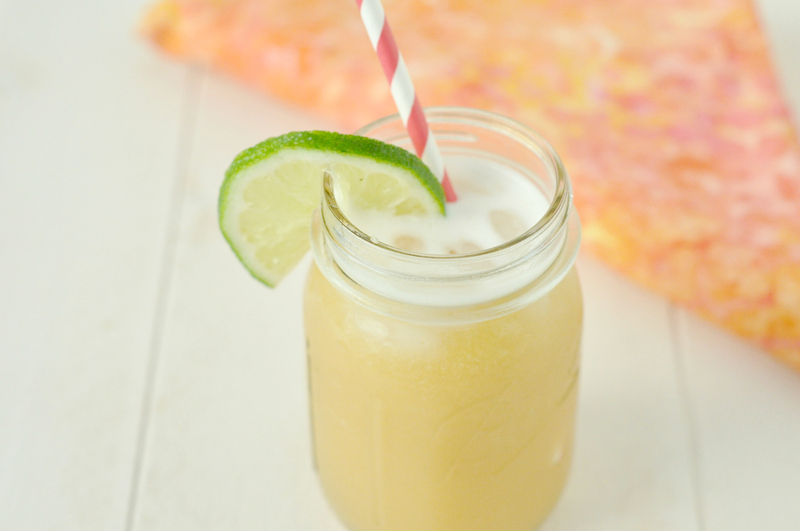 Isn’t all agua fresca easy to make?! Well, I suppose it is. But this version is even easier, I promise! It uses an ingredient most of you probably haven’t even thought about. 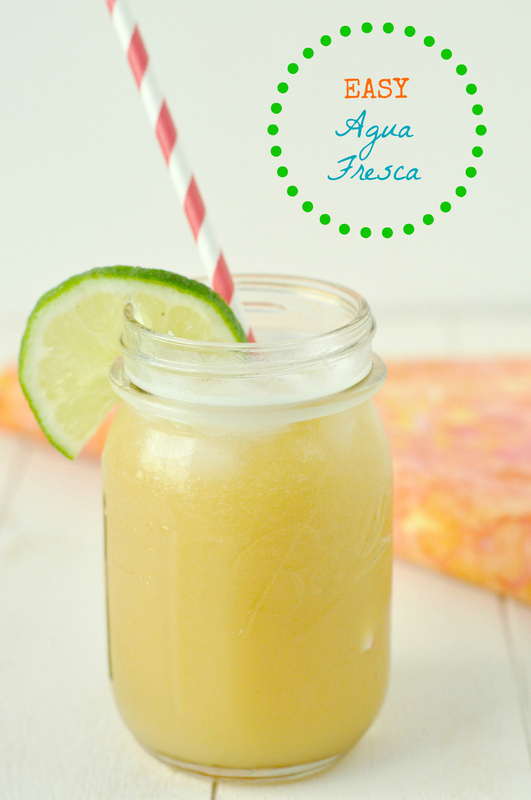 Perhaps you don’t know what agua fresca is. It is simply water and fruit, combine the two and you have a very refreshing drink for those hot summer days. It may only be spring still, but here in South Carolina the heat has kicked in full force. Swim practice started for the boys this week so our schedule has been crazy. Today I had an epiphany. Sean and I were at my mom’s house helping her get everything ready for a garage sale (they are moving to the mountains soon, boohoo for us). Anyway, in the madness Sean got thirsty and I grabbed what I could find in the garage fridge, a bottle of flavored water. It isn’t my favorite thing, I don’t care for the artificial taste or artificial sweetener. We were thirsty though and it was there and easy. Anyway, it later dawned on me that the boys would appreciate their own flavored water on the way to swim practice. As I mentioned before, agua fresca is pretty simple. Generally speaking you blend together some fruit and water, strain out the pulp and add a little sweetener. My schedule is busy though, who wants to spend the time to strain out the fruit, let alone do any extra dishes or launder cheesecloth? Certainly not me. Enter in my secret ingredient, BABY FOOD! All right, ya’ll might think I’ve completely lost it now. Yes, I’ve been busy and occasionally do lose my mind, but this is pure genius. Josh sometimes makes cocktails using baby food so I had some in the house. Yes, it makes great cocktails too! Why wouldn’t you use baby food I ask. It’s pure fruit, easy to find in organic brands and usually much cheaper than any fancy cocktail syrup, puree or other mixer. They come in so many great fruit combinations, just pick your favorite and have some fun. I picked up Jack and Ewan at the bus stop and handed them their jars of agua fresca to drink on the way to the gym. It was a huge hit. Jack commented “oh my gosh, this is soooo gooood”! Ewan drank his all before I blinked an eye. I would say that is a success!! I packed the boys’ drinks in canning jars. I love those things! Add a drink top and you’ve got a great environmentally friendly container. The first picture is a selfie Jack took, drinking his agua fresca. The other two are of Sean in the middle, chugging his drink too! Put the baby food, water and lime juice in the blender and blend a few seconds to combine. Add the sweetener and mix. Serve over ice. 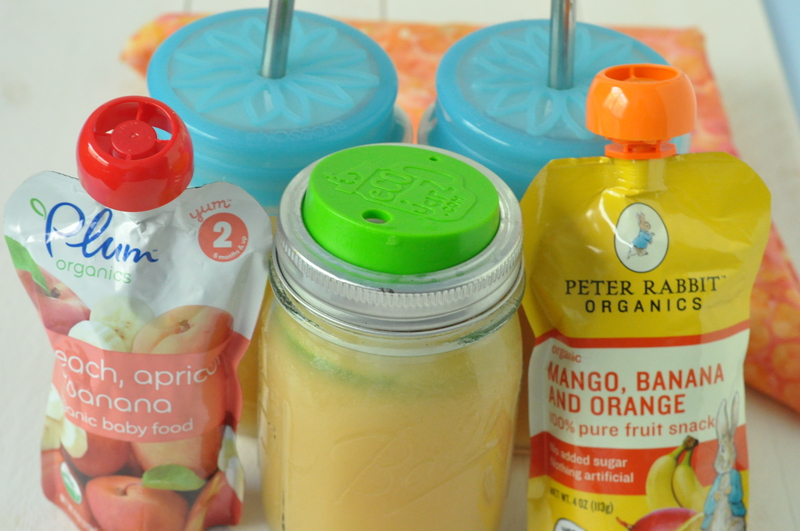 This entry was posted in Beverages and tagged Agua Fresca, baby food, drinks, easy, kid friendly on May 13, 2015 by Gretchen. Thanks Amy! Always fun to repurpose food products! What a brilliant idea for a hot day! Thanks! It certainly was a fun way for the boys to refresh and cool off!